Upfront, I’m declaring my bias: I’m not really into musicals. Most of them I find boring. There’s been a couple I’ve liked — Moulin Rougue and Chicago (2002). So you might want to take my comments here with that in mind. 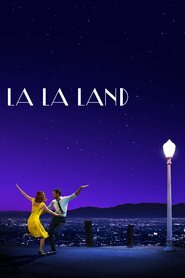 LA LA LAND was better than I expected. Ryan Gosling and Emma Stone are very good as the romantic couple. The music is enjoyable, especially the piano jazz played by Gosling. The plot is pretty basic and seems primarily aiming to reference old style musicals but wrapped in a modern context. The performances of the two stars are compelling and worth seeing the movie for - and the chemistry between them is great. If you really love musicals, you will probably love this.